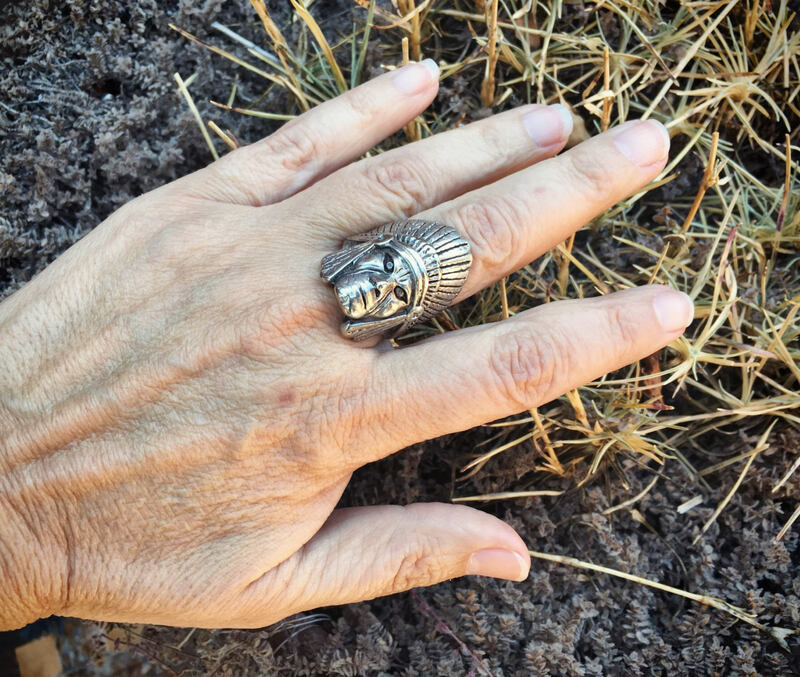 This Native American Indian Chief ring was made in 1985 by jewelry manufacturer G & S, which was the work of Lydia Gastroph and Barbara Seindenath. 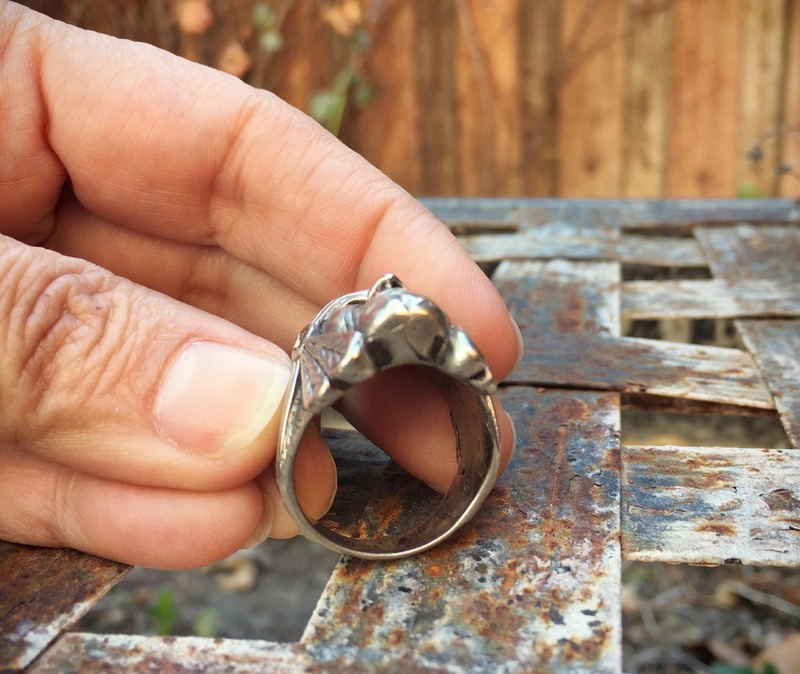 The ring is cast using the lost cast method, and this style was big among bikers in the 80s. 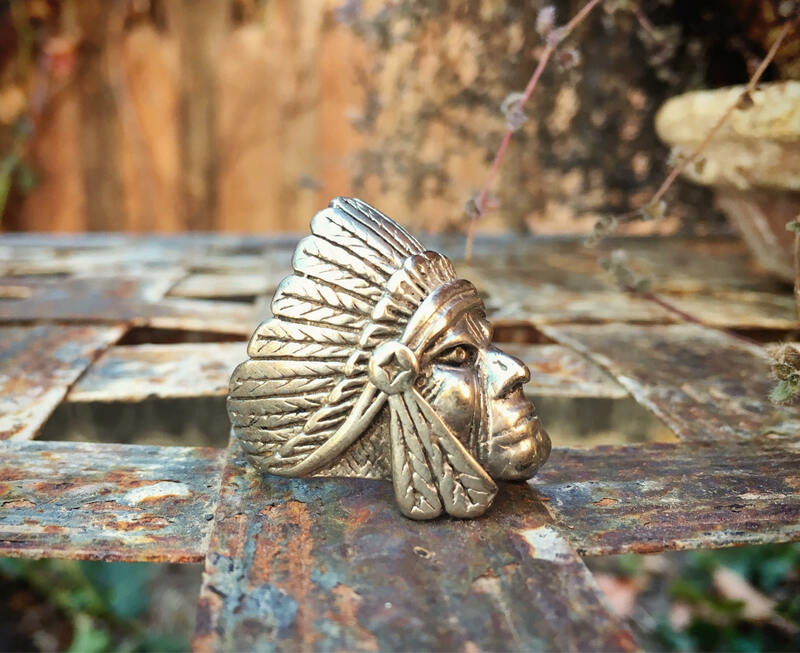 With this method, silver is poured into a wax cast which is usually destroyed--hence, lost--in the casting process. This gives each piece a limited production. 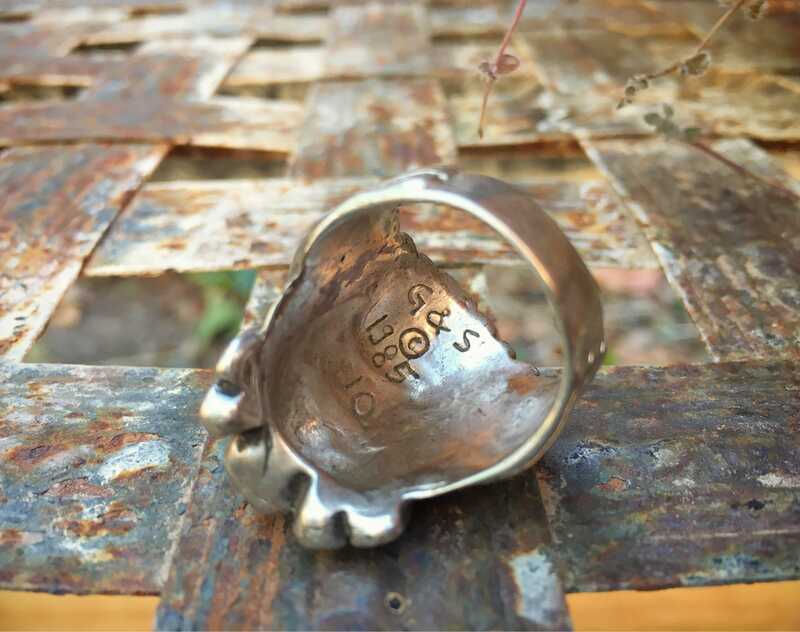 G&S rings are typically sterling silver over stainless steel unless marked otherwise. 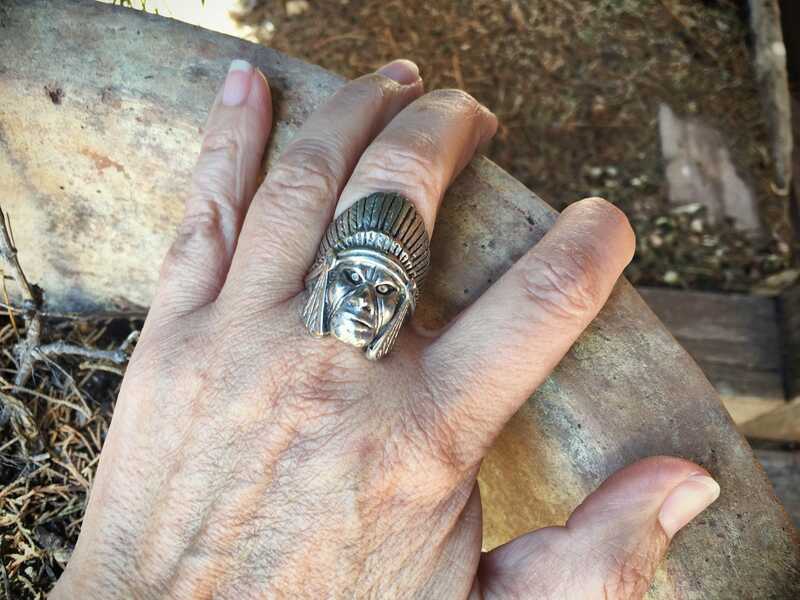 It is a heavy ring at 24g and has incredible detail. The expression on the face is fabulous--stern and piercing gaze. No wonder these were so beloved by bikers! The ring is a size 10 to 10.25. 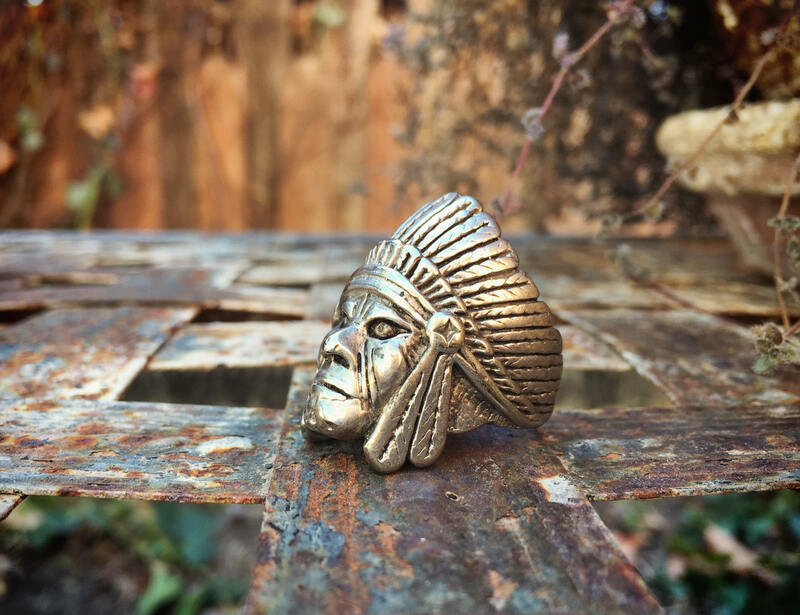 The ring face measures about 1" wide (although the headdress extends all the way down the sides) by 1-1/4" long. Some scratching on the cast sterling silver surface. Otherwise in good vintage condition. 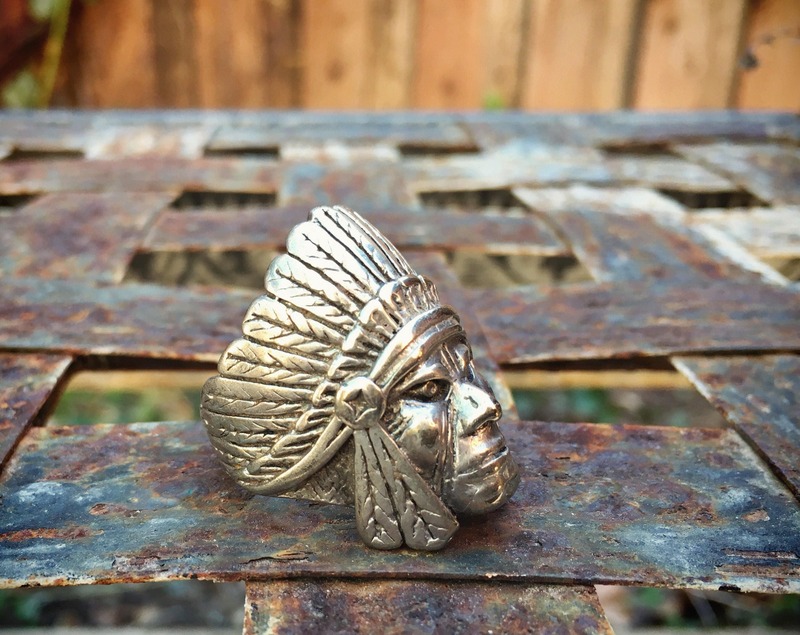 Authentic Biker Jewelry for the real biker in your life.